Have you been trying to learn how to do proper yoga poses online while staying at home? Well, then bookmark this page right now for it has the list of all different types of yoga poses, or asanas, from most popular to weird and crazy, from standard traditional to modern, from most difficult and hard to most gentle and basic yoga poses. In the following charts, you will find yoga poses and sequences explained and segregated according to a person’s fitness or therapeutic goals. 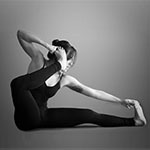 The poses listed in the following links are those which focus on these body parts and help make them stronger and more flexible. The yoga poses you get on the following links are strategically focused to provide therapeutic relief in the following conditions. However, one must always take great are in beginning and progressing with yoga when suffering from these conditions. If you have been wondering just how many yoga poses are there in total, then let us tell you there are plenty. Each new yoga style or yoga master utilizes his understanding of asanas and alignment to invent a new asana. So, here is a list of most common yoga poses with their Sanskrit names. On the linked pages you can find the basic pose, it’s various other names, health benefits, step by step instructions, pictures to check your alignment, contraindications, tips for beginners and all kinds of easy and difficult variations related to that posture. shouldn’t Upward-Facing Dog (Adho Mukha Svanasana) be Urdhva Muka Svanasana? Otherwise a very helpful list, thanks! Isn't headstand an inverted posture??. sir please make pdf of all yoga poses so everyone can get it. Very Great with an excellent we will daily practice then receive better source with power in our body . Thank you for provide image with details. God Bless to you.. Very nice and a great work Thankyou!!!!! amazing list with pictures, so so helpful! Thank you very much!